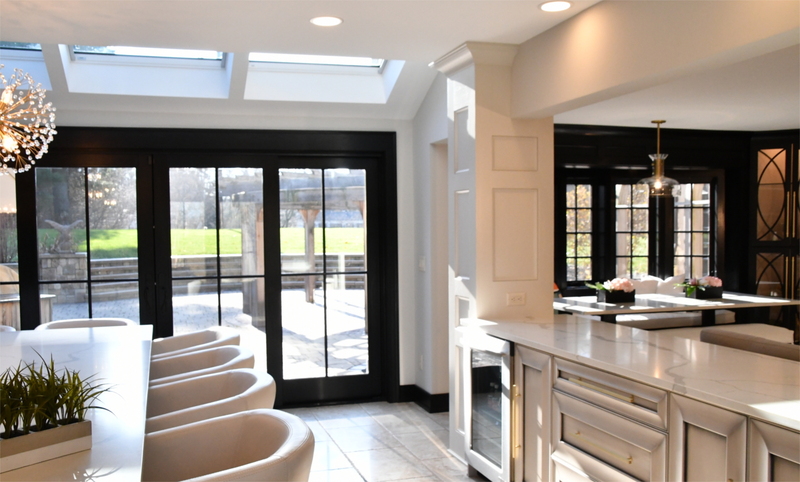 The view from the living room into the kitchen after renovation. 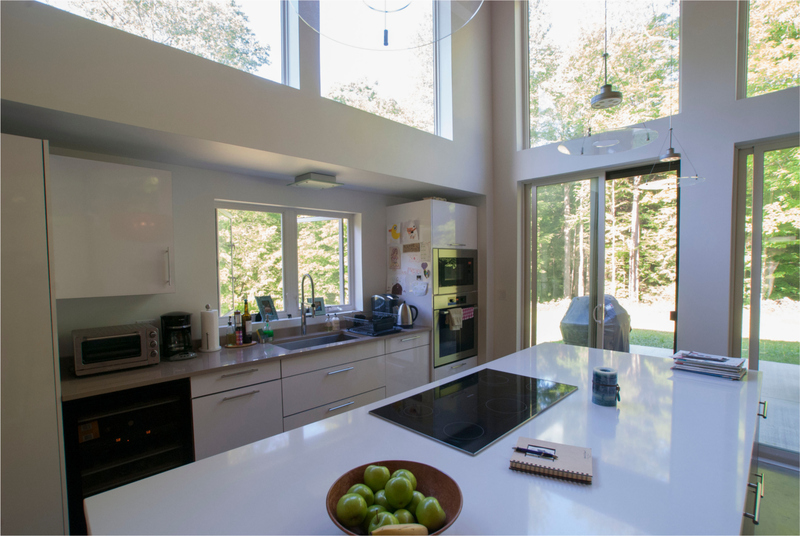 The modern, open design provides more space and light. 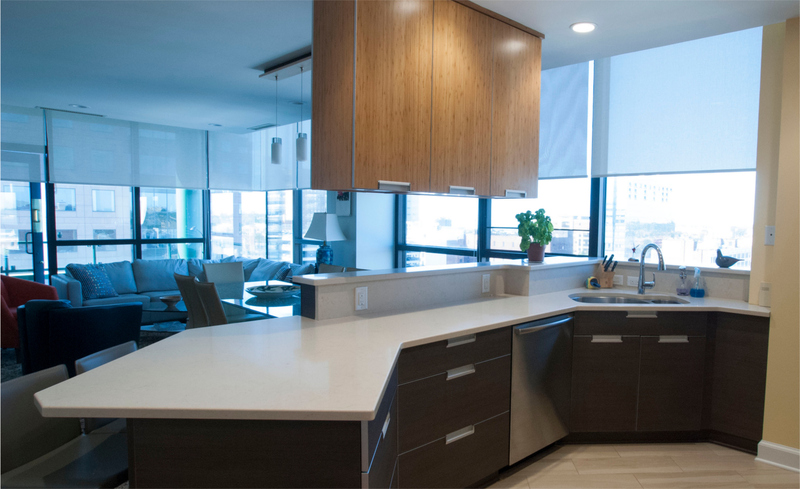 The modern, open kitchen with coffers in the ceiling, and a new island with a built-in sink. 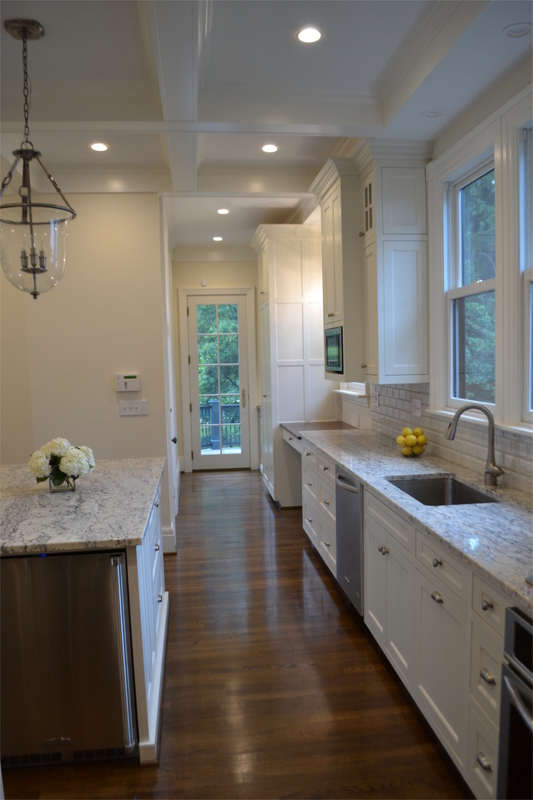 The new, open kitchen featuring an island sink and plenty of natural light. 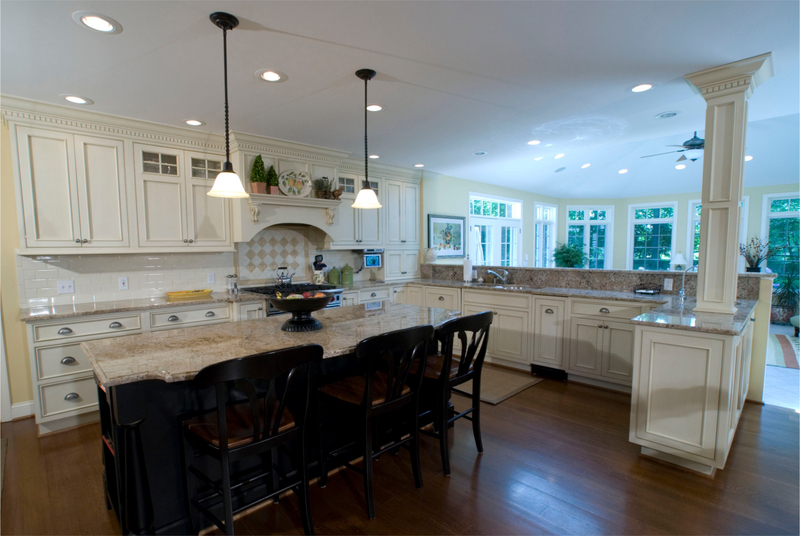 Kitchen by Brookhaven. 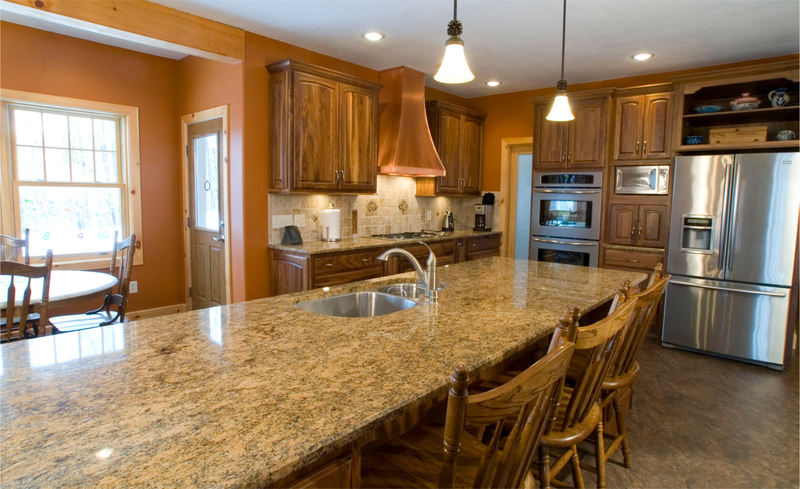 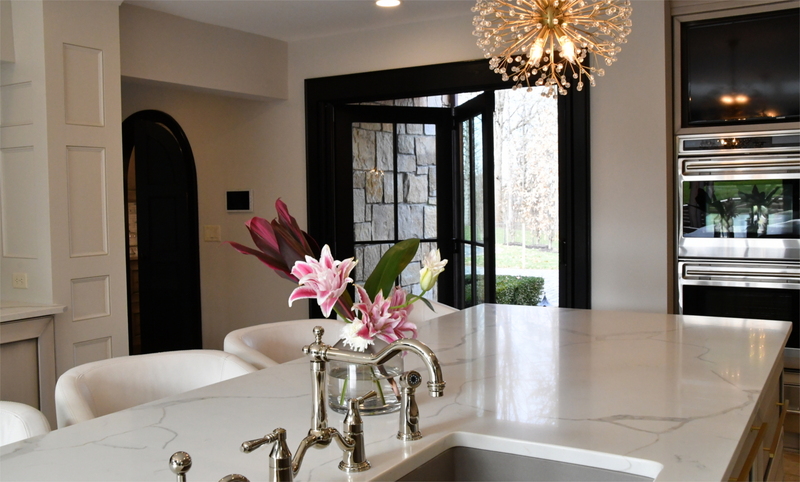 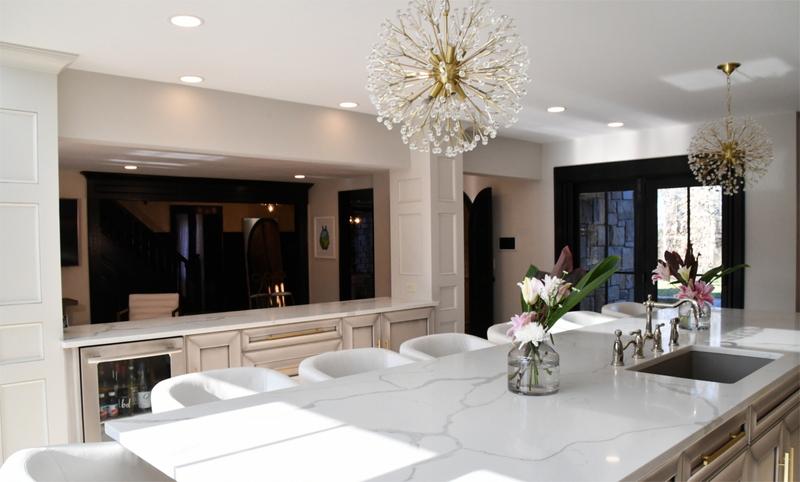 The kitchen island with a granite countertop. 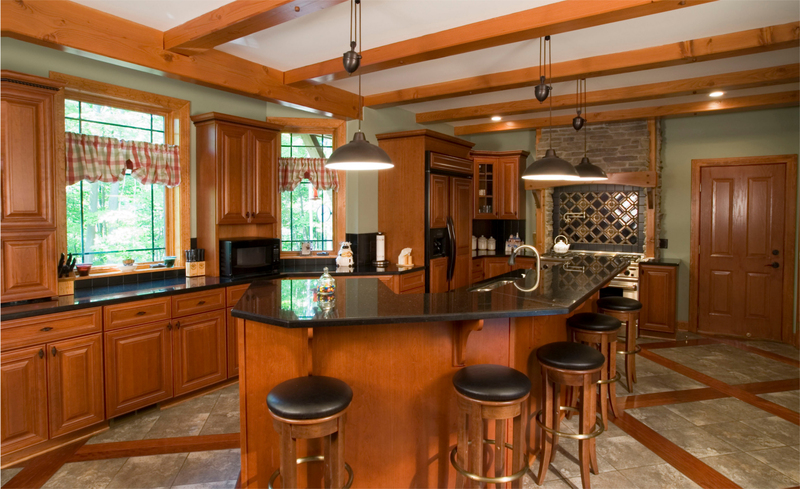 Kitchen by Doug Parker of Aurora Custom Cabinets. 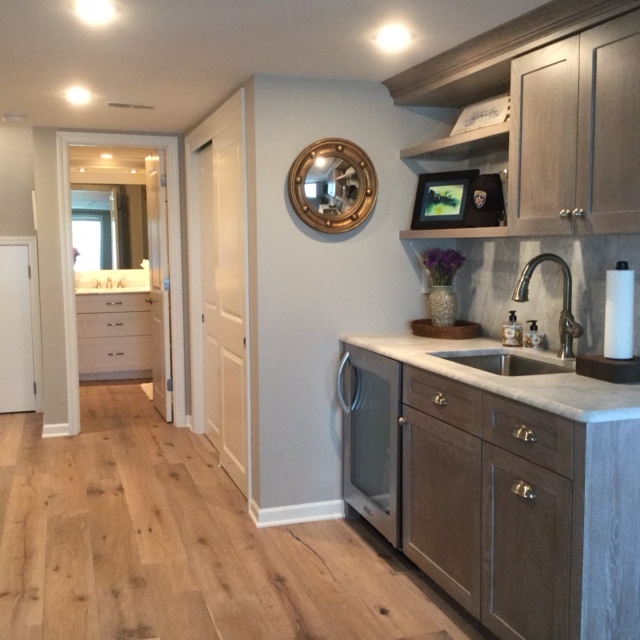 The new back door that leads to a grilling porch. 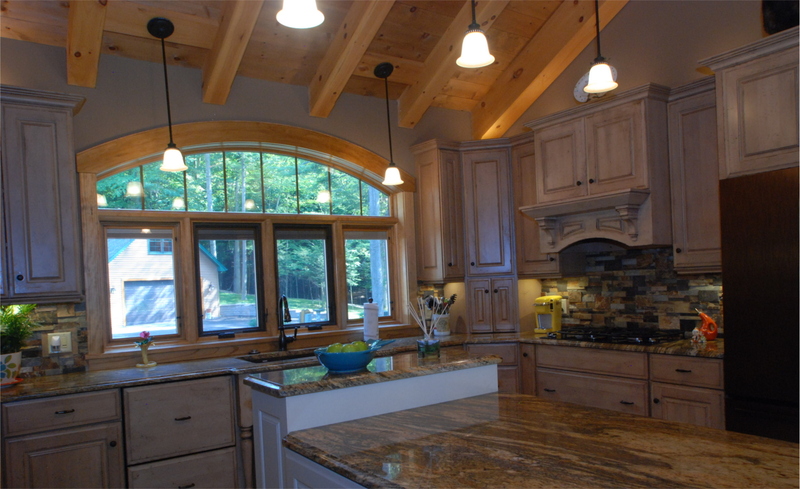 Kitchen by Doug Parker of Aurora Custom Cabinets. 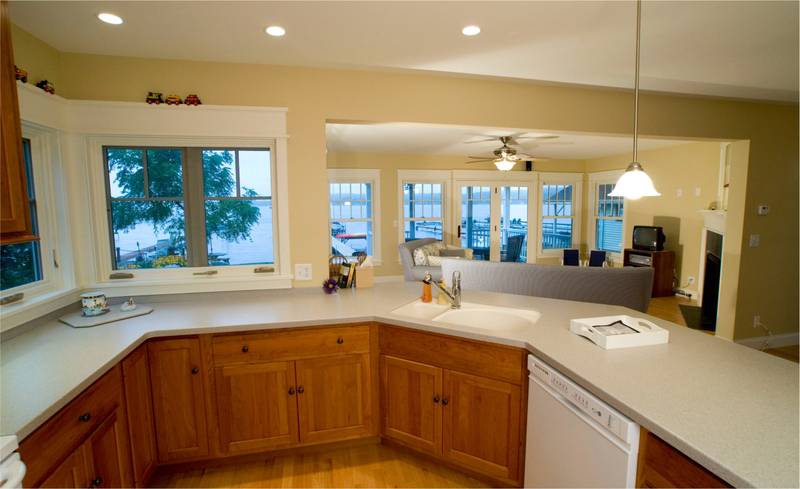 The kitchen with an island countertop stove and awning windows and doors. 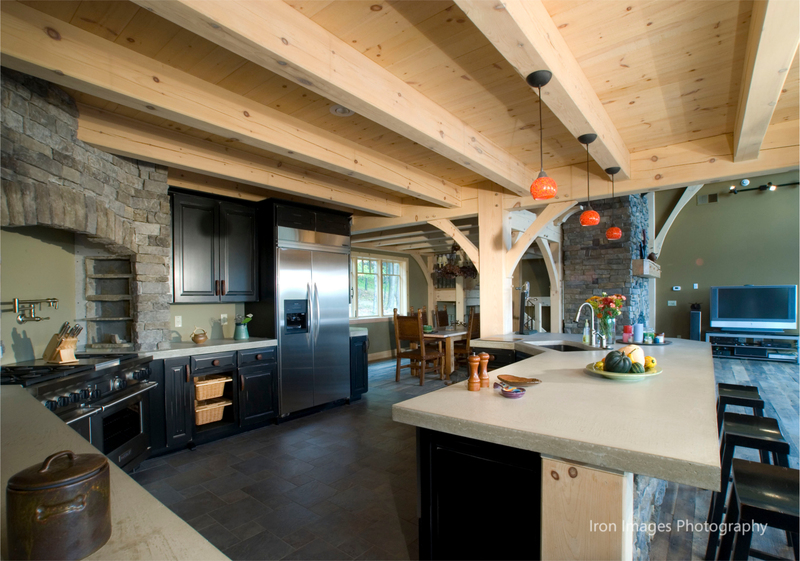 The open kitchen featuring pickled pine woodwork, and a recessed stove under a stone arch. 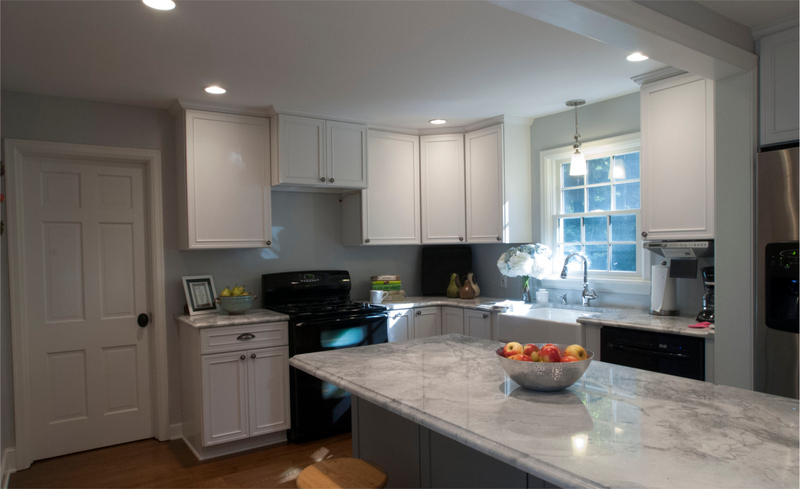 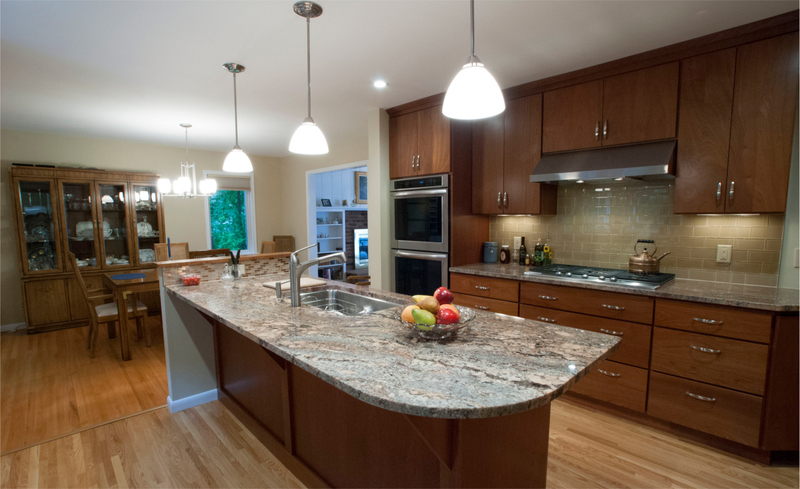 The new kitchen cabinetry and counters that give a more contemporary feel. 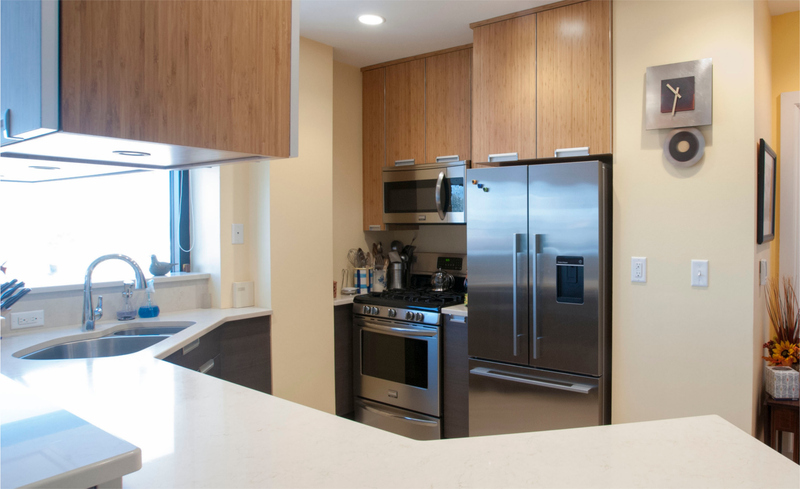 The new, modern refrigerator and stove area. 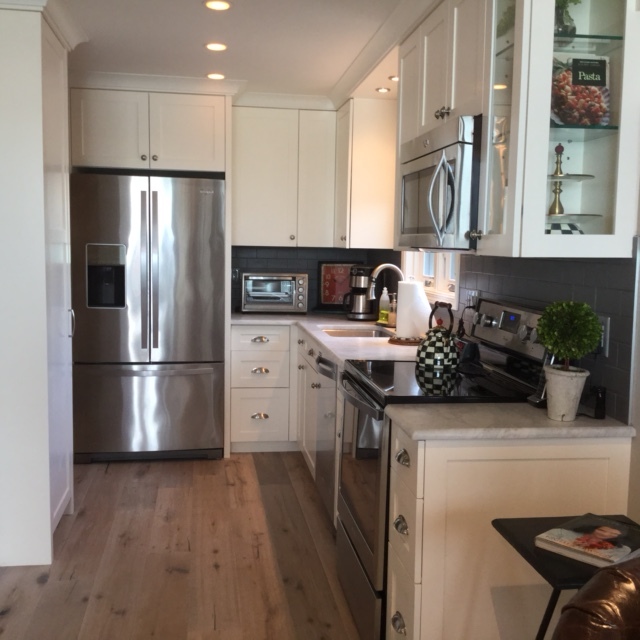 The remodeled kitchen with hardwood floors and new cabinets and counters. 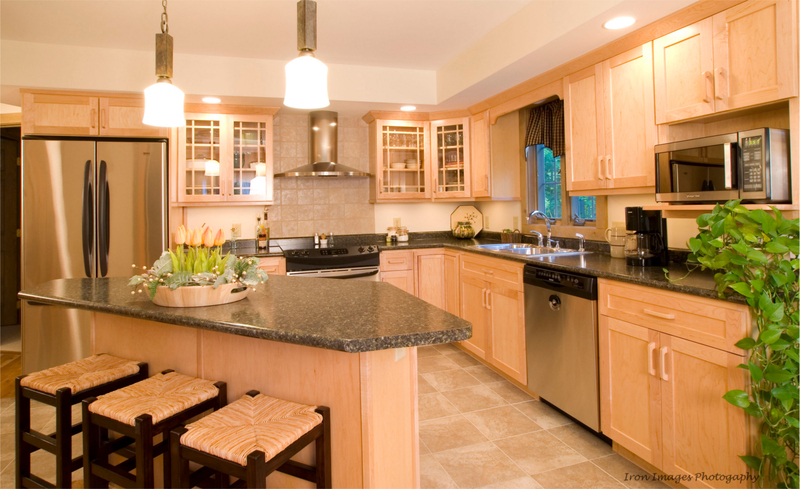 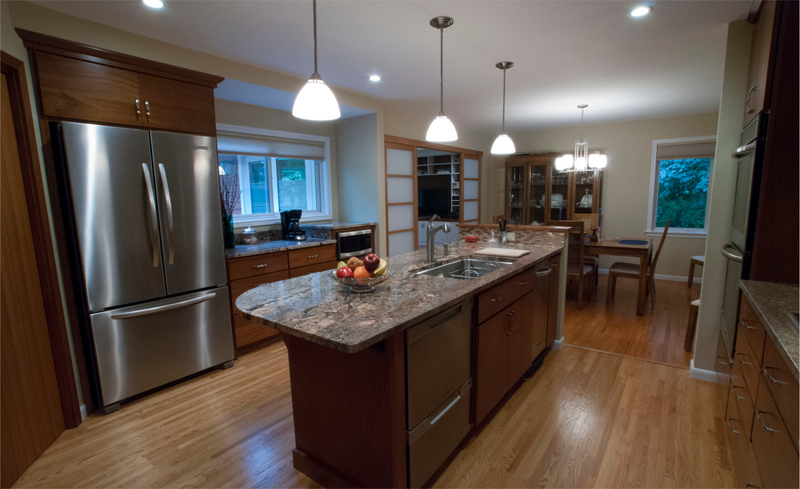 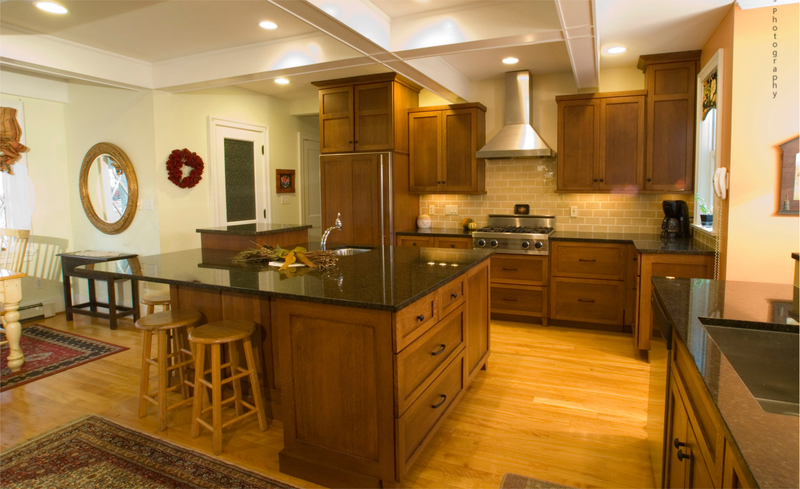 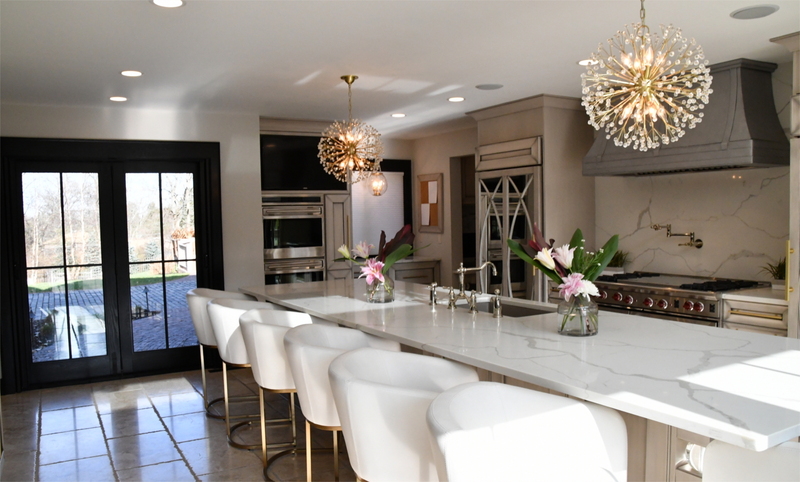 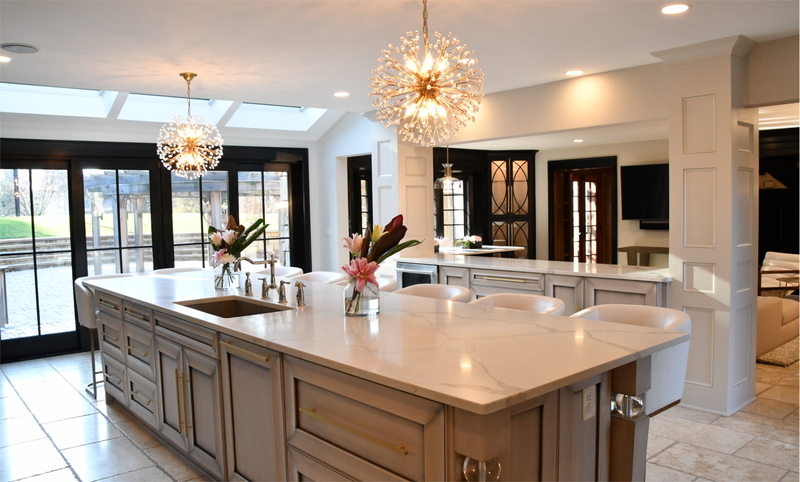 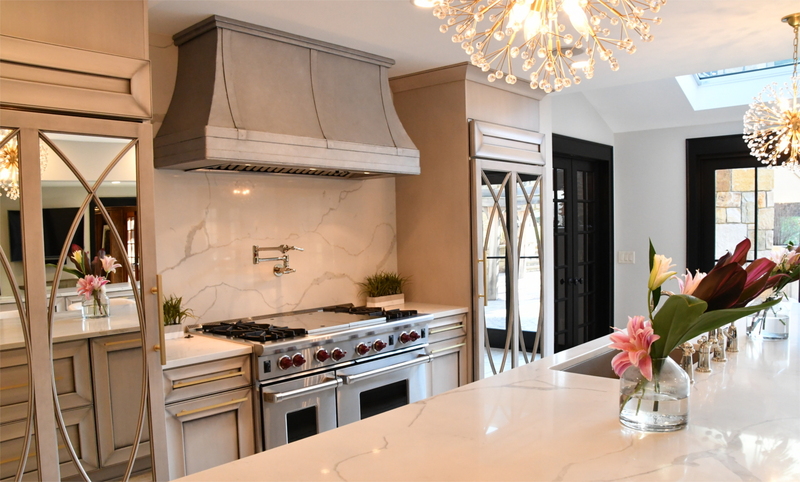 The modernized kitchen with an island and light wood cabinetry. 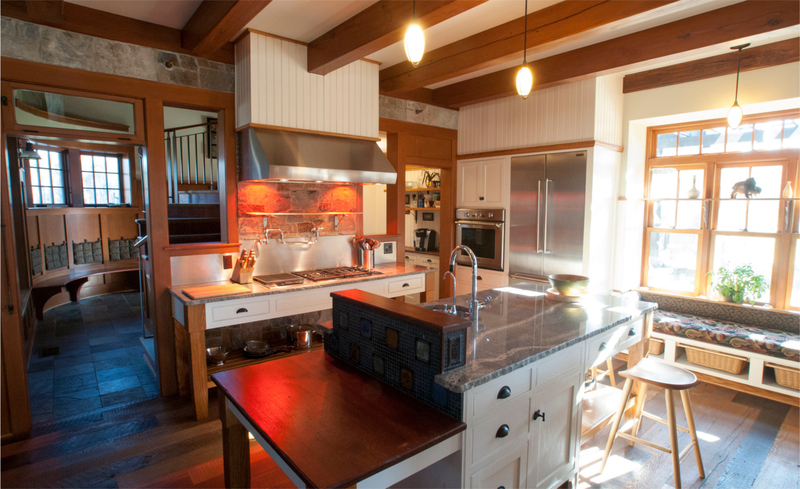 The kitchen with hardwood floors, granite countertops and douglas fir woodwork. 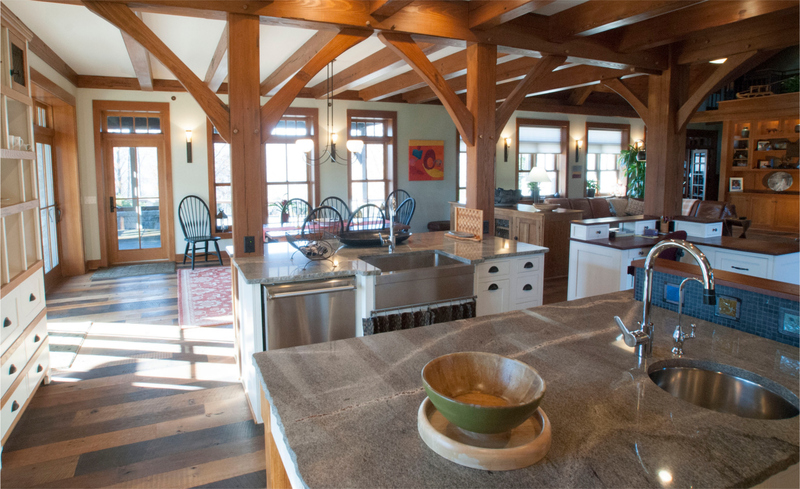 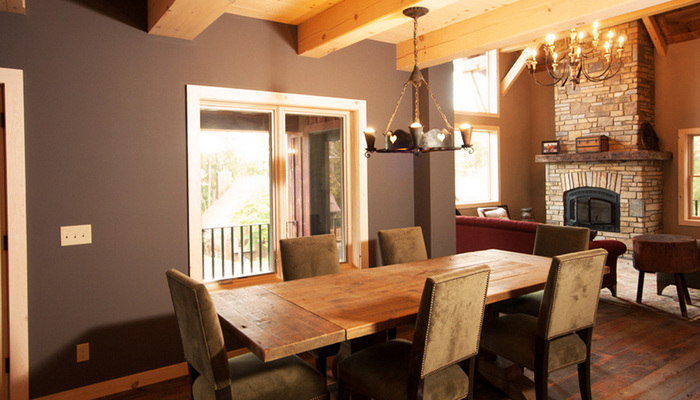 The kitchen which illustrates the open floor plan and reclaimed douglas fir beams. 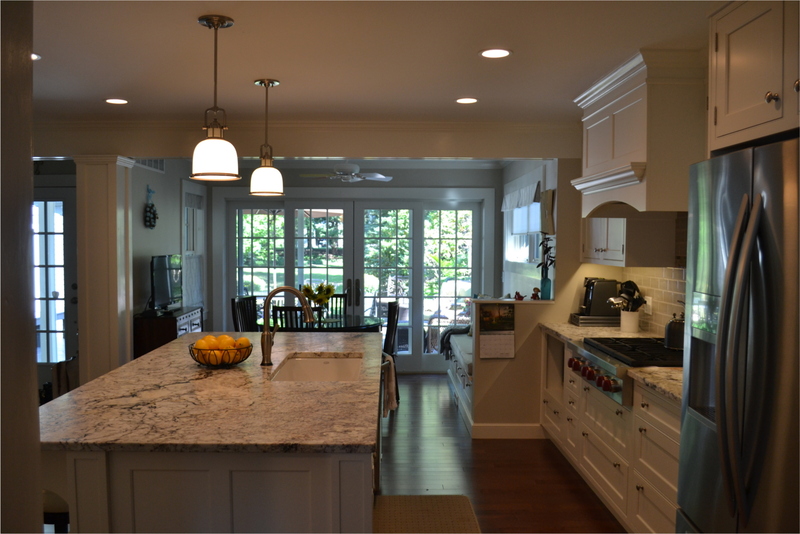 The kitchen and living room, illustrating the open floor plan. 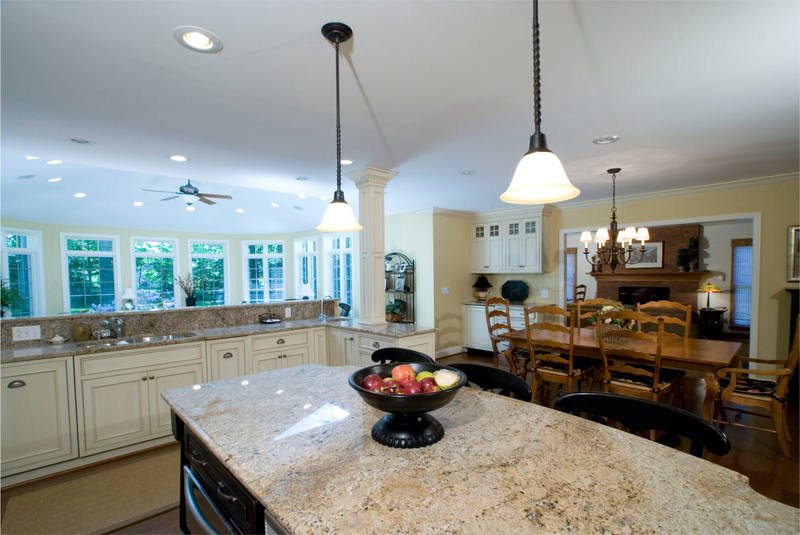 The modern kitchen which has a large, curved island and a brick and tile stove backsplash. 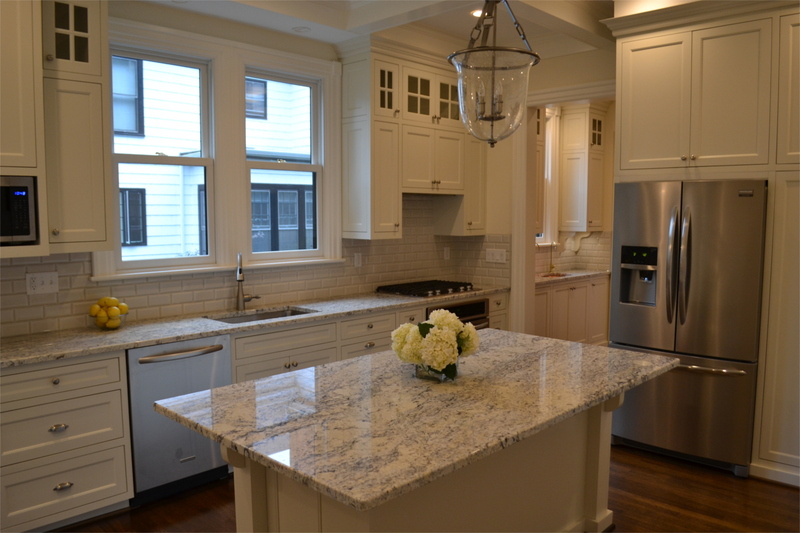 The new kitchen with an arched window, whitewashed cabinetry, and granite countertops. 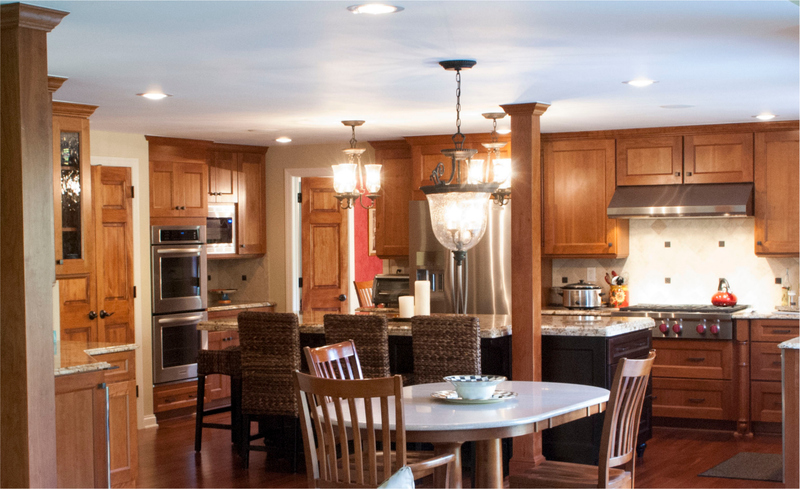 A collection of kitchens by Bailey & Harris.